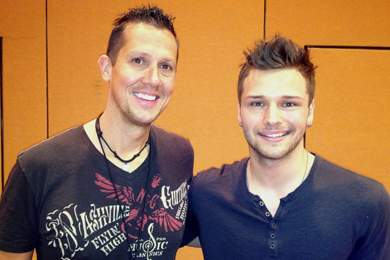 Show Dog Universal’s Joel Crouse recently shared his debut single, “If You Want Some” with KWOF PD, Jonathan Wilde. Darius Rucker‘s infectious hit “Wagon Wheel,” featuring the members of Lady Antebellum on background vocals, topped the MusicRow CountryBreakout Chart this week. Eric Church‘s “Like Jesus Does” comes in at No. 2, followed by Tim McGraw with Taylor Swift‘s “Highway Don’t Care” and Kenny Chesney‘s former No. 1 “Pirate Flag,” at No. 3 and No. 4, respectively. Brantley Gilbert‘s “More Than Miles” holds at No. 5 again this week, while The Band Perry‘s “Done” rises from No. 8 to No. 6. Jake Owen‘s “Anywhere With You” ups one notch from No. 9 to No. 8. The Henningsens‘ “American Beautiful” breaks into the Top 10 this week, while Kelly Clarkson featuring Vince Gill‘s “Don’t Rush” remains at No. 10. Luke Bryan has brought quite the party to the charts–his single, “Crash My Party,” is the greatest gainer again this week, with 516 spins, jumping from No. 26 to No. 16. Carrie Underwood‘s “See You Again” rises from No. 30 to No. 23, with additional 426 spins. Underwood’s tourmate, Hunter Hayes,” has his own swiftly rising single with “I Want Crazy” climbing from No. 40 to No 31. Little Big Town‘s “Your Side of The Bed” jumps from No. 33 to No. 27, while Blake Shelton‘s “Boys Round Here” rises two spots from No. 14 to No. 12 this week. Eric Paslay has the top debut this week with “Friday Night” at No. 55, followed by Lee Brice‘s “Parking Lot Party” at No. 68, Joanna Smith‘s “Girls Are Crazy” at No. 73, Chris Cagle‘s “Dance Baby Dance” at No. 77 and Casey Donahew Band‘s “Whiskey Baby” at No. 79. 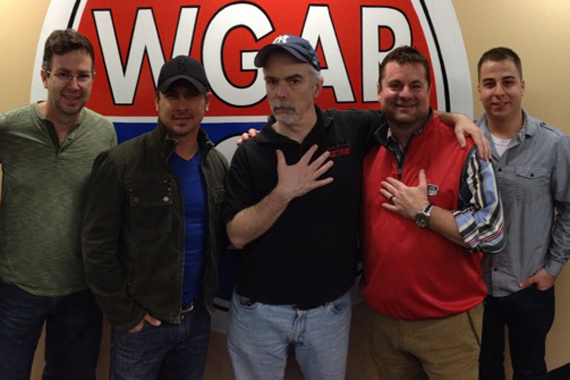 Blaster Record’s Jared Ashley recently visited WGAR in Cleveland for a visit and performance to promote his latest single, “Last Train To Memphis.” Pictured (L-R): Dave Collins (Blaster Records), Jared Ashley, Charley Connolly (PD, WGAR), Tom Porter (CEO, Blaster Entertainment), Dan Barbera (Management, Blaster). 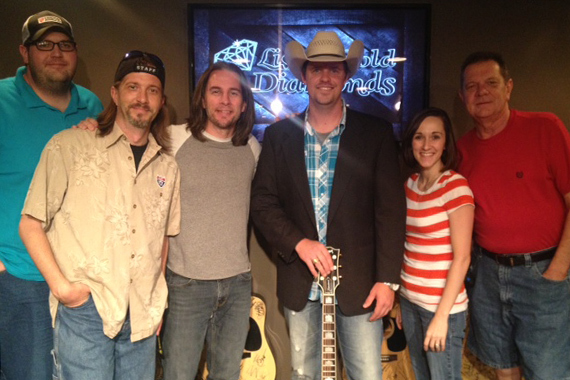 LandStar Entertainment’s Adam Fears visited the staff at WUSY Chattanooga and performed his new single “There’s a Girl Out There.” Pictured (L-R): Cowboy Kyle, Styckman, Gator Harrison, Adam Fears, Melissa Wagner, Bill “Dex” Poindexter.